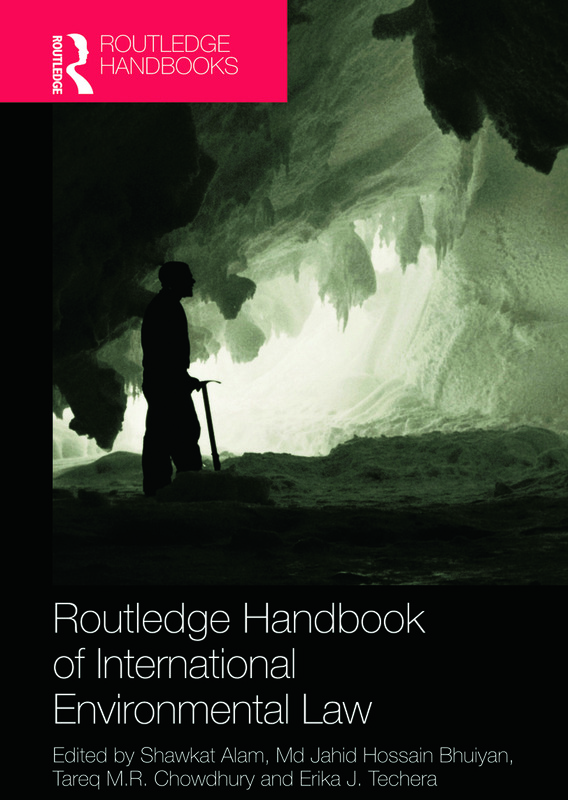 The Routledge Handbook of International Environmental Law is an advanced level reference guide which provides a comprehensive and contemporary overview of the corpus of international environmental law (IEL). The Handbook features specially commissioned papers by leading experts in the field of international environmental law, drawn from a range of both developed and developing countries in order to put forward a truly global approach to the subject. Furthermore, it addresses emerging and cross-cutting issues of critical importance for the years ahead. Contemporary and Future Challenges - analyses pressing current and emerging issues in the field including environmental refugees and climate change, REDD and deforestation, and ‘treaty congestion’ in IEL. This up-to-date and authoritative book makes it an essential reference work for students, scholars and practitioners working in the field. Shawkat Alam is a Senior Lecturer and Director of the Centre for International and Environmental Law at Macquarie University where he teaches and researches in the areas of international and environmental law. His recent publication includes Sustainable Development and Free Trade (Routledge, 2008). Md. Jahid Hossain Bhuiyan teaches law in the Department of Law, ASA University Bangladesh. He was a visiting scholar of Emory Law School, USA. During his studies in Belgium he gained experience in legal practice. He is co-editor of Globalization, International Law, and Human Rights (OUP, 2012). Dr Tareq M.R. Chowdhury is Professor and Dean at the Faculty of Law, ASA University Bangladesh. He was faculty member of Stockholm University, Sweden. He has contributed many research articles. He is the author of Legal Framework of International Supervision (Stockholm University, 1986). Erika J Techerais a Professor at The University of Western Australia where she teaches and researches in international and comparative environmental law. She is the author of Marine Environmental Governance: from International Law to Local Practice (Routledge, 2012) and previously practised as a barrister.